If concrete is your paving material of choice, our experienced professionals can help. If you’re looking for a brand new concrete installation, we can gladly help you map out an area for your driveway, patio, garage slab, sidewalk, retaining wall, and more. After that, we’ll work quickly to install your hardscape so you can begin enjoying it as soon as possible. 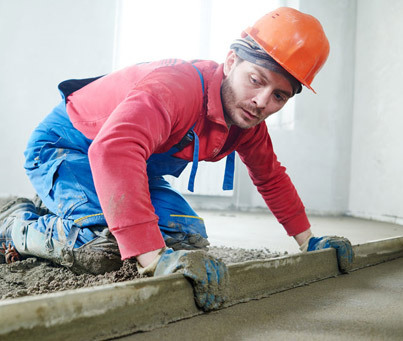 If it’s a concrete repair you’re looking for, we work diligently to mend cracked, damaged or broken concrete and can efficiently replace any portion of concrete that needs attention. 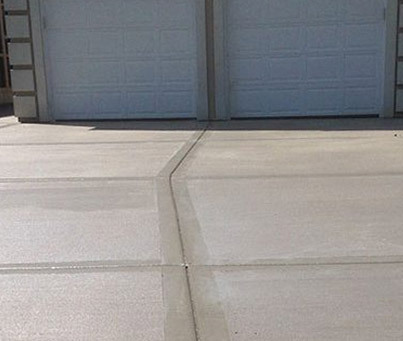 We’ll make sure your concrete looks as good as new. Call our concrete paving company today at 1-888-PAVEMENT for all of your concrete needs. A concrete driveway offers strength and durability for your home or business. In addition, it can add curb appeal and can complement any visual design. At Mr. Pavement, our experts can professionally lay and level your perfect concrete driveway. 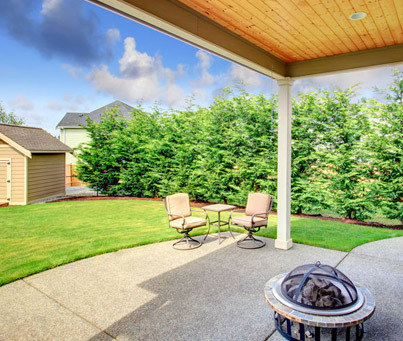 A concrete patio can add curb appeal to your home or business and also increase its value. If you’re interested in a new patio installation, leave it to Mr. Pavement. We can help you design and install a beautiful area for your family, friends, guests, and more. Whether you’re building a new home or need to replace your current concrete garage slab, we can help. Our professionals can create a strong, sturdy garage slab that is the perfect size and shape for your home. This gives you a great area for parking or working. Sometimes a property is built on a slope. If this is the case, it’s important to keep the earth around your home or building in tact. 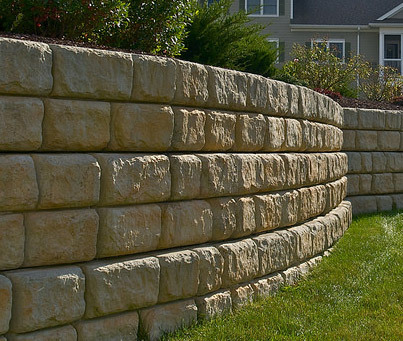 With a concrete retaining wall, we can help you do so. We’ll create a wall that resists the pressure of shifting soil. Whether it’s for your home or your business, a sidewalk offers a clear footpath for individuals. 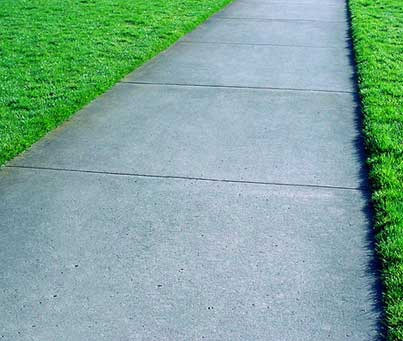 Let our concrete experts help you design a sidewalk. We’ll install it quickly so your guests can enjoy access to your home, back yard, business, and more.